Oh my goodness! I'm so excited to show you this week's release from Wendy Tunison Designs! It's a collab with Pretty In Green and they had too much fun creating this one! Who can resist popping a few quarters into a photo booth coin slot and making some silly faces behind the curtain as the flash pops away? I know I can't! You'll love the vintage feel mixed in with the bright fun colors of this kit. 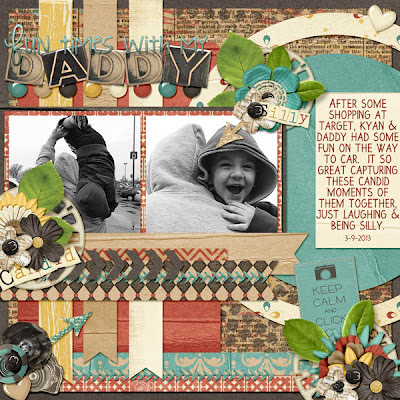 With plenty of photo props and fabulously patterned and textured papers, you'll be creating layout after layout full of photo fun! Perfect for scrapping vintage photos as well, you'll find the pieces in this kit versatile enough to scrap most anything! It's called 35mm and it's 30% off during it's introductory week! Don't forget to check out the fun coordinating Add Ons for even more scrapping pleasure! Pretty In Green has also created some great add ons for this collab! Check out all of the awesomeness our CTs created with this collab. Want a close up of mine? Love the template I used? It's from AK Designs' newest template pack (Template Pack 33). Grab it now while it's just $2. And I have a freebie for you...click here or image below. Be sure to stop by Wendy's blog tomorrow to pick up some more FABULOUS freebies from our CT! Very cute! Thank you so very much! I commented and then tried to download but there appears to be a problem..it keeps timing out and on one a message came up saying there was a problem with reaching the link. Will check back later. Thank you. That's weird. I just tried it and it's downloading just fine. Can you try again and let me know. Very cute, but I cannot download either. It's downloading fine for me. Can you try again and let me know.